Funerals are emotional events that require sympathy and good etiquette. When daughters and sons-in-law join the family tree, they often bring an entire in-law network with them. This can be cause for celebration. Holiday feasts and family celebrations increase in size and new memories get made with new people. However, with new family associations come new opportunities for grief should one of them pass away. If your daughter-in-law’s father passes away, for instance, you might be left wondering what you should do. Using good funeral etiquette will convey your respects during one of the most emotional times. Though not as close as an immediate family member, your daughter-in-law’s father is still a close association. Assuming you and the deceased weren’t notorious for arguing every time you got into the same room, any questions about whether to attend the funeral should be put to rest immediately. You should make every effort to be present, if only for your daughter-in-law and son. This includes taking time from work and making travel and lodging arrangements as necessary. Obviously, logistical problems -- work or money, for instance -- may make your attendance impossible, but making a good-faith effort will show that you care. 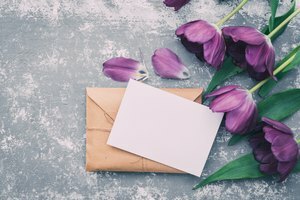 You probably had occasion to get to know the deceased fairly well through your family connections. When offering condolences to your daughter-in-law, the widow, or any other members of the family, you’re in a position to share personal memories of the deceased, which can be comforting. If you didn’t know the deceased well at all, “I’m sorry for your loss” is all you need to say. Also, don’t forget that the death is affecting your son, as well. Having a heart-to-heart conversation with him about how he is coping can be beneficial. It’s good manners for family and friends of the bereaved to express willingness to help the bereaved with chores and errands. In this situation, it’s a necessity. If you live locally or are willing to stay around for some extra time before and after the funeral, this might include cooking, cleaning or shopping. If you a considerable distance away, the offer may be a symbolic gesture, but it’s one you should make, regardless. Special considerations come into play if your son and daughter-in-law have children together. 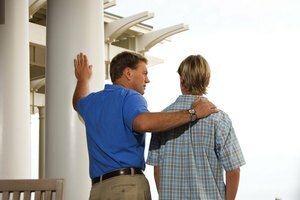 As the paternal grandparent in this situation, you are in a position to take a major burden off of the child's parents and your daughter-in-law's bereaved family, at least temporarily. Your daughter-in-law may not fully be grieving if she is still spending most of her days caring for the children -- this is especially true if they are very young. She might also be afraid of alarming the children if she grieves openly in front of them. Offer to take your grandchildren for a day out or have them stay with you while you're in town. This will allow the bereaved time to focus on their own emotional needs. 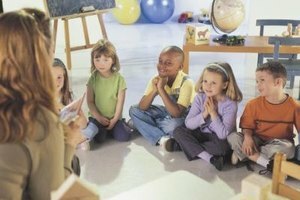 If the children are old enough to understand the situation and are taking it hard, you'll be offering them the chance to take their mind off of it. Marsden, Chip. "Etiquette at the Funeral of a Daughter-In-Law's Father." 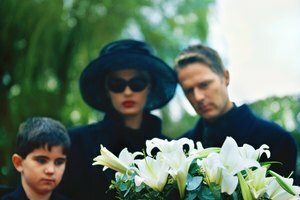 Synonym, https://classroom.synonym.com/etiquette-at-the-funeral-of-a-daughter-in-laws-father-12085599.html. 29 September 2017.